This zone found on the lower Eastern slopes of the park is perfect for backpacking. It is usually warm and dry especially in Winter. The scrubby semi-open forest lands and the open grasslands down to the coast provide great hiking terrain. The wide open and expansive views of the whole coastline are nothing short of amazing. The trail begins along the top of the Pali, which is Hawaiian for Cliff, and is gentle in slope. 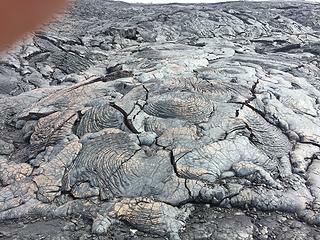 This part of the trail is over many varied textures of lava ranging from smooth to ropelike textures. It meanders in and out of old Ohia forest. Ohia are very significant and important to the island in that it is one of the first plants to grow in new lava flow areas. Their presence begins the process of transformation from open raw rock to a forest. In the distance you see another smaller Pali to the South right on the ocean with its cliffs falling into the ocean itself. At the far end of that Pali is the beach camp of Ka’aha. At the foot of the Palito on the North is another beach camp called Halape and just North of that is my favorite camp, Keauhou. At night, if you are lucky and the sky is clear, watch the Milky Way spread all across the sky through the clean ocean air. See shooting stars streak by. There is no light pollution here to spoil the night time views. 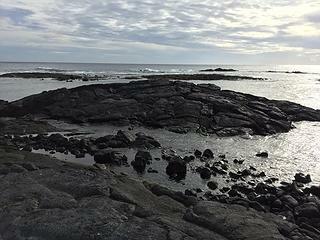 When bed time comes, fall asleep to the gentle sound of the surf falling across the rocks and island offshore. Thanks for the trip reports, Eaglecadd! 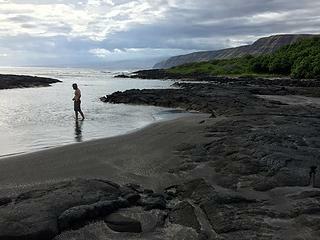 Is late October a good time for hiking on the Big Island? I visited some friends who lived near Volcanoes National Park five years ago in April and always have wanted to go back to do some hiking. 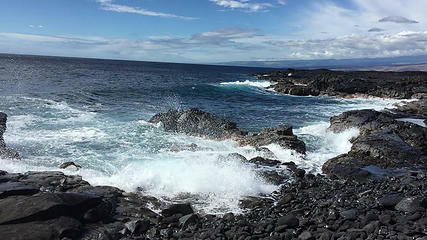 We wanted to explore some of the trails on the north coast of the Kona side but ran out of time. Have you been on any of these trails? Eaglecadd...what a lovely wonderful report. It was grand to read of Keauhou. I camped there with a friend many years ago and although we had problems with the ants that nest there, we enjoyed ourselves a lot. I worked for an Outward Bound School in the late seventies and Halape was a place we went often. We even carried sprouted coconuts down the 7.5 mile trail to plant there to replace the grove destroyed in the big earthquake of 1975. That south coast is so remote and lovely and desoalate that one really feels apart from the modern world. If one scouts around carefully, there are petroglyphs to be seen and other wonders to discover. Thanks for your report and pictures. They helped to evoke marvelous memories for me. Hike on! Aloha nui loa! 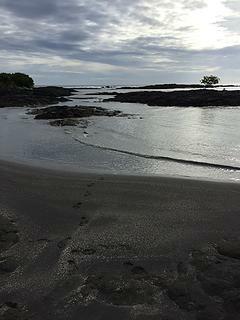 Hi, I am relatively new to the Big Island having only lived here about 2 years continuously but I am trying to learn about more trails here. I have done several great trails in Volcanoes Nat. Pk., as well as several on the NE coast like Polulu, Waipio, Waimanu and beyond on all 3. I will take the time to find more on the NW side sometime soon. I am primarily a backpacker although I do some day hikes. 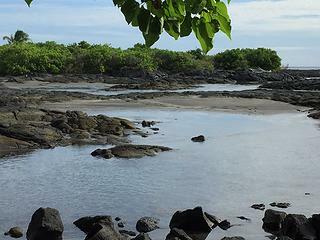 I would suggest you try the day hike with snorkeling to the Captain Cook Monument neat the town of Captain Cook a ways south of Kona.